I have been a fan of VoiceThread for many years and use it with our school under the Ed.VoiceThread domain. The iOS app was a getting a bit long in the tooth so was excited to see that they have updated it to both take advantage of the iOS 7 update but also to make the use easier. I have been testing it and even though I had some issues to work out since we not only use the ed.voicethread sub-domain, we also use a single-sign on through Shibboleth which I think may have made things a bit more complicated on our end. The sharing has improved but still not as powerful as on a desktop or laptop. The addition of groups will definitely help although I generally start in the computer lab where students create the VoiceThread and then embed it into our Moodle course inside of a forum. We could do the same with a group although I would need to manage those groups which can be more effort then I want to put into the process. 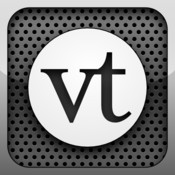 Still, the fact that VoiceThread has continued to iterate and improve their product is impressive given they had to adjust to the mobile non-Flash world. To learn more about the changes to the iOS app go here. My inbox today held a great example of how students will use their iPads in ways we never thought of when we discussed possible uses. Neil used his with his school sponsored VoiceThread account to record himself playing the piano. He tells the story in his blog post so I will just say that his example highlights what our students can and will do when creativity and passion intersect along with technology. 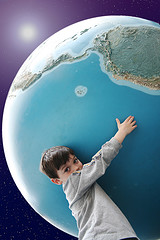 His ability to share his passion with the world is what has changed. Go Neil! “Pink Panther Song by Neil M.
Because folks wanted to watch the VoiceThread but did not have an account, I exported it as a movie file for uploading here. Of course, the music is copyrighted so I am going out on a limb to show it here as the performance rights were not purchased. 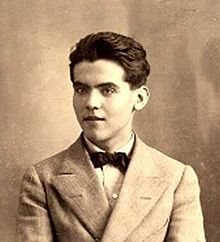 Canción del Jinete Cami S.
Each year the 6th grade Spanish students create a VoiceThread project where they read and illustrate the poem Canción del jinete by Federico García Lorca. The purpose is really three fold in that students should be able use the language well, illustrate the poem with images that capture the mood of the poem while also being unique, and giving proper credit on the use of the images by doing a proper bibliography. We start the class with me showing the students how to use Skitch to create a title slide either with an image or just a drawing. We discuss how to resize the images in Skitch so they fill the screen in VoiceThread. Students who are using images other then their own creations use a Google Doc for citation which is then downloaded as a PDF and uploaded to VoiceThread as the final slide. After the initial title slide is created in Skitch, students drag it to their desktop. Then we create the new VoiceThread, edit the title, add a description, give it tags for easy searching. Next, we adjust the publishing so it is viewable, comments are both allowed and moderated. The last part is to use the Share settings to get a link and the embed code to add it to a Moodle Discussion forum. We do this in one class and then the students get to work on getting other images, creating images, and citing their sources. The last part is to record the VoiceThread using our Logitech Headsets. It takes about 3 to 4 class periods from start to finish and since the VoiceThread is embedded in the class Moodle course, all additions to the VoiceThread show up automatically. Students always think this is cool, which is a good thing as I think their learning should be embedded everywhere. Some also put it in their Google Site Learning Portfolio to showcase their Multimedia skills. Below is one that Mr. Glass was a true showcase as the language is well done and the student clearly understands the poem since all artwork was created by her. I love it when all elements of learning come together. Of course, projects like this are always easier in May after students have been exposed to the use of the tools throughout the year. Ms. Donnelly’s class has had an assignment this week that asked them to create tutorials on how to use the iPad, Apps, and other things that teachers should know. I prompted her to do this with her students as I think our school is going to move ahead with an iPad program for Middle School students. There are still many details to be worked out, but the energy is moving in that direction. 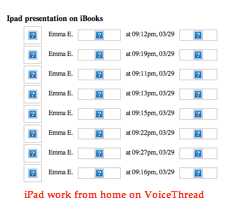 This is one example done on an iPad at school with more then one student working on the project. It also took multiple attempts since even though the apps and technology worked very well, there were limitations to what the students could get off of the iPad because of the setup and the file structure that is not apparent or familiar with the iPad. Perseverance and a growth mindset proved successful. 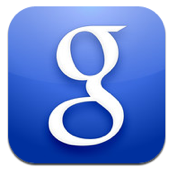 Using Google Docs on iOS Device – Eureka! Those of you who have been reading this blog since the iPad was announced have read my posts about the issues with using Google Apps for Education on an iOS device. Sure you could sort of use them if you were willing to do equal parts troubleshooting and lowered expectations. 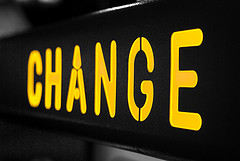 I have tried various apps that purport to be the best with being able to connect to our Google Apps for Education accounts to create, edit, share and use without limitations or at least few limitations. Most of the apps come close but when any number of students report having lost work, I believe the system is not a true system. Granted in baseball, .400 is a good average, but if you only have 40% of the work you did, you would agree it is not a system. Because of this issue, I have been concerned about what we would loose from our normal educational routine if our school adopted iPads for students over laptops since there is virtually no issues with Google Apps for Education from a non-mobile computer. While I am still not sure what is the best device, I have been able to solve the main issue with creating, editing, and sharing Google Apps on an iOS device. I used the new Google Search app and clicked on Applications to select Documents. Once I did this, I could do in iOS what I can also do on a non-iOS device. The only caveat yet to overcome is that when the document is shared with another user they can not see who has shared it with them. Until that is resolved, yes I am talking to you Google, students or teachers may need to add their first name to the title of the document. If you have yet to update to the new Google Search App, [iTunes Link] do so now as it is really slick with other features as well. Today is my birthday so I am a bit reflective. I was born in Potosi, WI 55 years ago. I have travelled many roads on my journey to where I am today. I was 2 years old when this picture was taken. I see the spark in my eyes at two. There were days, probably years when I lost the spark, but through teaching, I am reminded able to rekindle the spark when I am in the Flow. I was greeted at work today but some very different tasks. Task 1 was to meet with my new retirement benefit coordinator to determine how best to invest my 410K funds so I could retire in 10+/- years. The next task was to go through my email. I found some gifts that sparked my day due to their thoughtfulness and the fact they took the time to create something. Besides the sparkles I get from my wife, children and grandchildren, my students give me sparkles as well. Here are some digital versions. I also got lots of bakery and a warm bagel with fresh fruit. Ellie P. made this for me in Skitch which is a free drawing program we have been using (spell check not included). 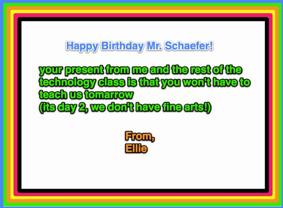 FYI Technology is in the Fine Arts Rotation and I do not have time to explain that before my next birthday. Scott H. took a different approach as he created a VoiceThread with a simple message. He knows that I see every VoiceThread made at Durham Academy so his gift would be delivered automatically. He created it sometime yesterday. There have been other gifts and acknowledgements as today, I am the topic. With that in mind, I thought I would share the project I did as part of the NCAIS Master Teacher Project. I was to tell my story and how being an NCAIS Master Teacher has impacted me and will impact my students. Using technological tools that were not available to that little boy of two, I decided to Google it. Enjoy. For those parents who could not attend Parent’s Night, here is a VoiceThread of what I shared with those in attendance. At the end of each school year we say goodbye to students and colleagues who will not be returning. This year we said goodbye to Dr. Sid DuPont who has guided us for the last 3 years as the Interim Middle School Director. Dr. D. was one of the best administrators I have had the pleasure of working with and will be missed by me for his willingness to try new teaching methods and for the support he showed me and our division as we adjusted our instructional methods to take advantage of the changes taking place in education and the world. Thanks. Dr. DuPont! I am excited to work with Mr. Jon Meredith as the new Middle School Director. I believe he will pick-up where Dr. DuPont left off as he leads us into the future with care and his ideas. In preparation for his arrival, I created a VoiceThread for students and teachers to leave their comments as a way to welcome Mr. Meredith and provide some information to him so he could get to know us before we return in August. I asked commenters to introduce themselves, tell where they are on campus, what their Hopes, Dreams are for the Middle School, and Knowledge needed by Mr. Meredith. Finally, they were able to ask questions of Mr. Meredith. This was an optional activity but as I write this post there are 470 comments and 291 views. I will email the link to Mr. Meredith so he can begin to feel welcomed by our voices. I have spent the morning working in a computer lab and a classroom with 5th grade students and 7th grade students who are working on culminating projects. The groups have research in the library or in the field and are now working on presenting they’re learning to classmates and teachers. Both start in a Google Presentation which will be converted to a PDF when done for use in VoiceThread. I watched as students collaborated on the presentations in various ways:assigning jobs, adding images and text, or writing scripts in a Google Doc. The goal of both of these projects is to tell the story of what they have learned. We are fortunate to have desktops, some laptops, and some students who bring their own laptop so access is not an issue. In the past, students could not easily collaborate and create simultaneously as they can now. This lack of creation friction has allowed one group to create the PDFs, upload to VoiceThread and record it in only 4 classes. It took much longer in the past since we had to many, many more steps to arrive where we are today. Other groups are well on their way to creating deeper learning while learning how to work collaboratively. The 7th grade science students will be teaching their fellow classmates on topics of the river study unit during exams. This brings the role of teacher into the life of a student in meaningful and real ways. 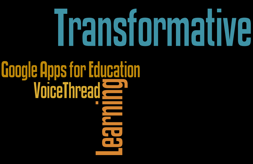 If your school does not use these web-based tools, Google Apps for Education and VoiceThread, please consider it, as they will transform your learning community into a frictionless environment where the technology supports the learning goals instead of limiting. I am very happy and proud to have helped bring this transformation about. Now it is time to eat my lunch as I have used it to write this short post.